Spend 15 years in Philadelphia and you’ll figure out that things in MAGNET’s native city aren’t always sunny or bursting with brotherly love. But underneath the tough exterior are some pretty sweet sounds. In honor of our anniversary, we pay tribute to our hometown scene. Mazarin created a buzz when its first seven-inch, “Wheats,” was named single of the week by the NME, back when such a thing mattered. 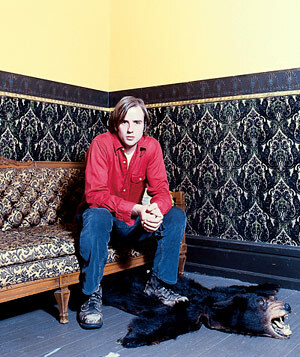 A sunny, strummy, feedback-laced bit of psychedelic pop cloaking singer/guitarist Quentin Stoltzfus’ bitter kiss-off (“Oh yeah, that’s right, you never loved me at all”), “Wheats” was one of several euphoric blasts on Watch It Happen, Mazarin’s 1999 debut. Concise and catchy tracks such as “Deed To Drugs” shared space with undulating soundscapes like “Progress Is Lovely.” Mazarin released two strong subsequent albums before Stoltzfus, nephew of soft-pretzel magnate Auntie Anne, retired the moniker in 2006 due to legal conflicts with a Long Island classic-rock group of the same name. While on hiatus, Stoltzfus has been building a studio with Clap Your Hands Say Yeah’s Alec Ounsworth.